FuseFX is an award-winning visual effects studio whose expertise in visual effects spans episodic television, film, commercials, games and special venues. FuseFX employs about 300 people and has three studio locations. They have more than 60 television shows in production simultaneously, in addition to various commercial and feature projects. There are many challenges to running a visual effects studio, and one is how to build and maintain a render farm. The amount of power and heat that a render farm generates and the infrastructure needed to carry it is massive. 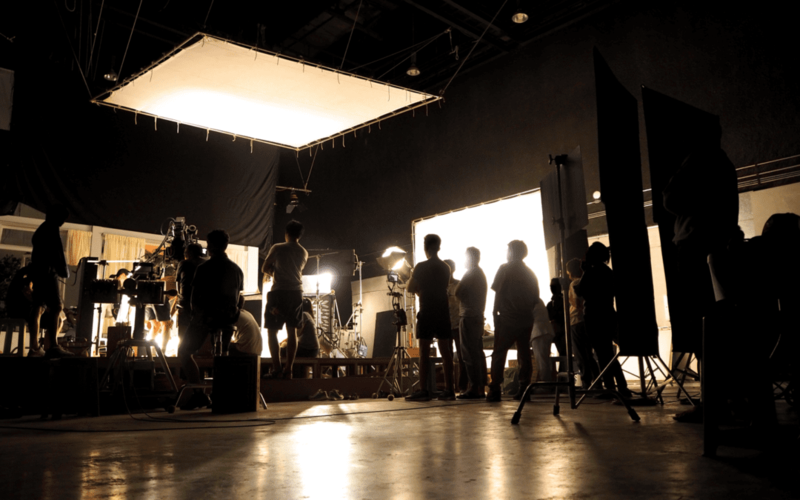 The tight deadlines of episodic television , where studios only have two or three weeks for a project, only compounds the challenge. What can a studio do when they need to quickly scale their render farm to meet a deadline? Renting equipment may not be a feasible solution. When you consider how long it takes to order, deliver, and rack and stack the nodes, as well as finding enough data center space, power, networking, and cooling, it may seem like there’s no reasonable answer—unless you start looking at the cloud. The first foray into the cloud for FuseFX happened around the same time they opened offices in New York and Vancouver. They wanted to use each office as needed for production work and rendering, but had an immediate problem of transferring data between locations. 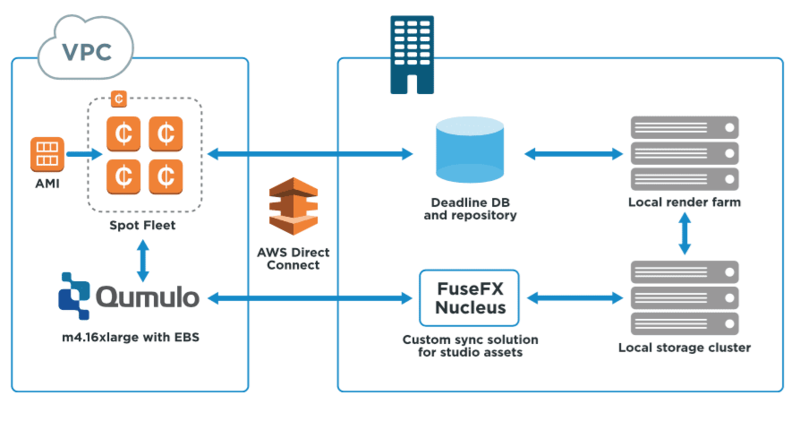 For that, FuseFX designed its own synchronization software powered by their own proprietary production platform, Nucleus. That left them with the issue of scaling their cloud computing capabilities. The initial version of their virtual render farm ran on a single, high-powered instance on AWS, but the storage architecture couldn’t handle more than 200 to 300 virtual machines. To run more instances, they needed fast, clustered storage. FuseFX already had a Qumulo cluster on-premise, and they began talking with us about a cloud-based solution. 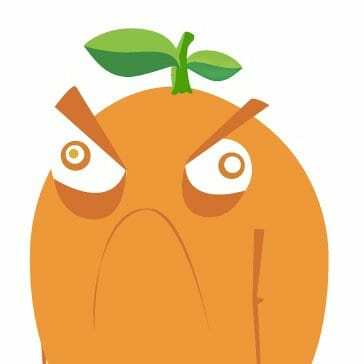 This happened to be when we were working on extending Qumulo to AWS, and the team at FuseFX jumped at the chance to try it out. They experimented with a single instance early on and liked what they saw. When the four-node cluster became available, they were ready to integrate it into their production pipeline. Once it’s synchronized to the Qumulo cluster in AWS, rendering can occur both locally and in the cloud at the same time. A local machine can, for example, pick up the first frame and a cloud node can pick up the second frame. Deadline manages the distribution so that the cloud is simply an extension of the on-premise render farm.